"DJ Paypal is one of footwork's most fascinating figures. His playful moniker and internet-savvy branding hint at a healthy sense of humour, but his music is as lush and soulful as his fellow Teklife producers. As the leader of Mall Music, the label home to peers like DJ Orange Julius and DJ Mastercard, he's outlined a new take on footwork laden with lush synthesizers and hi-definition sonics, while most recently his work on LuckyMe has pointed towards an interest in soul and disco. All of these factors come into play for Sold Out, his debut for Brainfeeder and a record that takes him beyond the pale of footwork into something all his own. 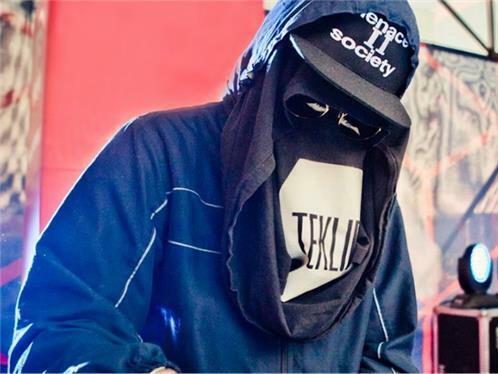 Ever the collaborative spirit, Paypal hooks up with familiar faces like Teklife members DJ Earl and Taye, and some names outside the world of footwork, including Tielsie and Keiska, who assist on Sold Out's elegiac closing track. The lengthy, patient "Say Goodbye" is unlike much else in the Paypal catalogue: it develops slowly and sadly before shooting off into an ecstatic outro, hinting that footwork doesn't always have to be about frenetic drums or hectic samples. It's the mark of an emotional thread that runs through an already diverse oeuvre and reaches a new, complex peak with Sold Out."